Ring Master malayalam movie review and First Day First Show (FDFS) reports from theatres in Kerala is given here. Written and directed by Rafi, the movie will have Dileep in lead as Prince, an animal trainer in circus. Keerthi Suresh and Honey Rose will be seen as the lead ladies while Mohan Jose, Kalabhavan Shajon, Suraj Venjaramoodu, Unda Pakru, Aju Varghese, Suraj Venjaramoodu, Sai Kumar, Kalabhavan Haneef and Saju Kodiyan will be in the supporting cast. 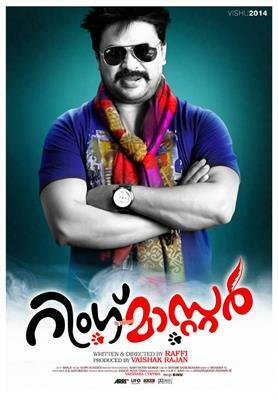 Dileep's much anticipated movie of the year, Ringmaster is ready for release. The emotional bonding of a man and a dog motivated film maker Rafi to craft a story. At the point of a distressing hurricane, a guy refused to get into a helicopter without his pet dog. He decides to swim to safety along with his pet which made Rafi to develop a plot which finally shaped as a script. 'Ring Master' is the bond between Prince, an animal trainer, and his pet dog, Diana. The movie is themed around the life of Prince (Dileep) who is a dog trainer in a circus company. His father (Vijayaraghavan) a renowned ring master who works in a circus troupe lost his job as the law banned wild animals in circus. As a result, people who works with the circus company makes plight. The hardships faced by Prince while fighting against the unfairness done to animals while training them form the core of the movie. Prince meets a veterinary doctor Muthu who leads him to find his future life with animals. He becomes Ring Master in dog care centre where he comes close with two dogs, Diana and Toby. This life with his dogs leads to some implausible incidents. The various distressing phases and encounters clubbed with unexpected twists and turns make the movie interesting. Trained high breed dogs from Mumbai have much to do in the movie. Dileep even had undergone special training under animal experts from various parts of the country to give full devotion to his character. Keethy Suresh has essayed the role of a visually challenged girl 'Miya' while Honey Rose played the role of Diana, a pessimistic character. Produced by Vaishak Rajan, the music is set by Gopi Sundar. To be screened in 80 plus theatres, the movie is expected to be an in an out comedy movie with elements to keep the audience intact. Ring Master creamed with humour is purely made for the children and family who wish to enjoy their vacation at theatre. In simple words, the movie can be called as a pass time entertainer. Rafi, the film maker has tried to bring moments of fun with wittiness and comic acts. Golden retriever Diana, the St. Bernard, Tobyand and Liza have played important roles in the movie. Even though some of the comic sequences are tame in nature, many sequences are there to keep tickle the funny bones. Dileep is well supported by Kalabhavan Shajon, Suraj Venjaramood, Unda Pakru and Saju Kodiyan to make the audience entertained. Almost all the actors have given their full dedication to keep the story free from tediousness. Rafi has proven showed how to arrange situations at the perfect time making it a joy ride. Shaji, the cameraman should be given a round of applause for bringing perfectness in each frame and for delivering a visual treat. So Ring Master would be a perfect choice for this summer for family audience. In Ghost House Inn the comedy packed movie - sequel to 2 Harihar Nagar releasing on 25th March. 'Oru Naal Varum' is the upcoming Mohan lal movie starring Lal,Sreenivasan,Sameera Reddy..